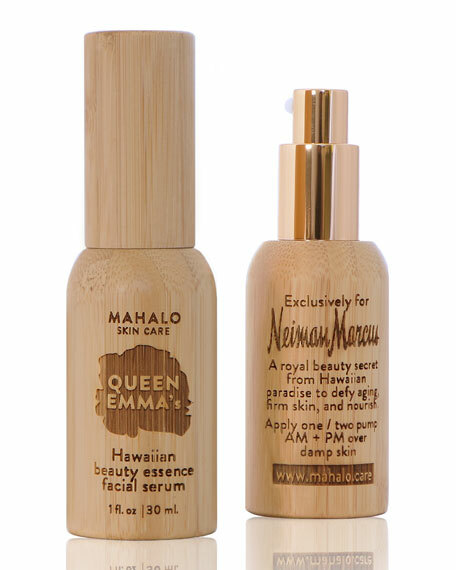 This exclusive to Neiman Marcus beauty elixir is a small batch production that features the most luxurious and nutrient-dense actives found in the Hawaiian tropics. The unique synergy combines mineral-rich oils, powerful antioxidants, age-reversing extracts, and replenishing fatty-acids that aid skin in restoring its natural balance, stimulate cellular turnover, inhibit melanin production, fade signs of aging, boost collagen production and deliver queen-worthy glow. 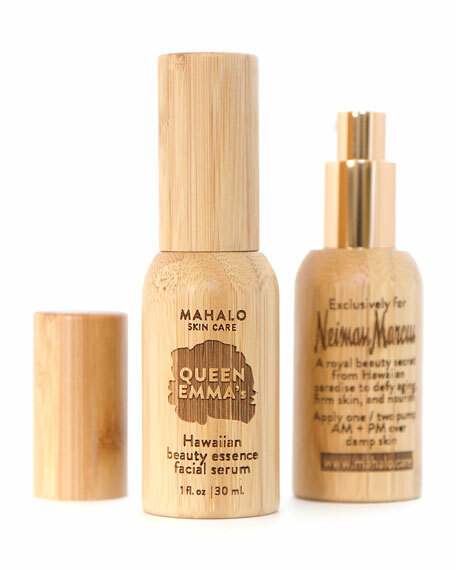 Discover a royal beauty secret from the gem of American paradise, from Hawaii, bottled, for you. 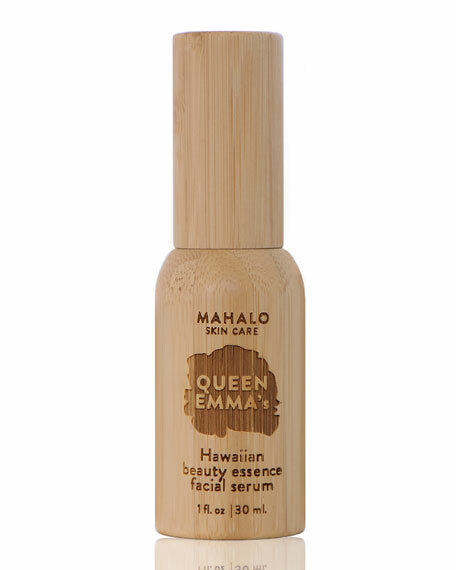 Named after Queen Emma, one of the most influential figures in Hawaiian history. Often referred to as the first renaissance queen of the Islands for skillfully merging the best of the Victorian era with the Hawaiian traditions. A true queen and a thoroughly sophisticated woman. One of her passions was exquisite gardens, floral and botanical paradise, abundant with indigenous and rare plants. Her legacy is celebrated in this exclusive skin treat. Romance and indulge your exotic spirit to Queen Emma's beauty elixir's sensory experience of a lush royal garden in the tropics, where the tantalizing aroma of midnight blooming jasmine entwines with seductive tuberose, royal sandalwood, hibiscus, lotus, ylang ylang, rose and notes of coffee. The elixir features synergy of compounds high in essential fatty acids, nutrients, antioxidants, vitamins, and a sophisticated union of next generation actives, combined with ancient beauty secrets of the Hawaiian islands. It is ideal for stressed, dehydrated and prematurely aging skins. QUEEN EMMA's luxurious skin rejuvenation treatment elicits a one-of-a-kind Island glow for a complexion that is plump, moisturized, rejuvenated and youthful. Tantalizing aroma of midnight blooming jasmine entwines with seductive tuberose, royal sandalwood, hibiscus, lotus, ylang ylang, rose and notes of coffee. All. Ideal for stressed, dehydrated and prematurely aging skins. Apply one/two pumps morning and night over damp skin. Gently massage focusing on areas of sensitivity and the delicate eye contour to release skin from dullness and release your natural vitality. Add an extra drop to nourish neck and décolleté. Chantecaille Blanc Gardenia Brightening Essence, 1.0 oz.